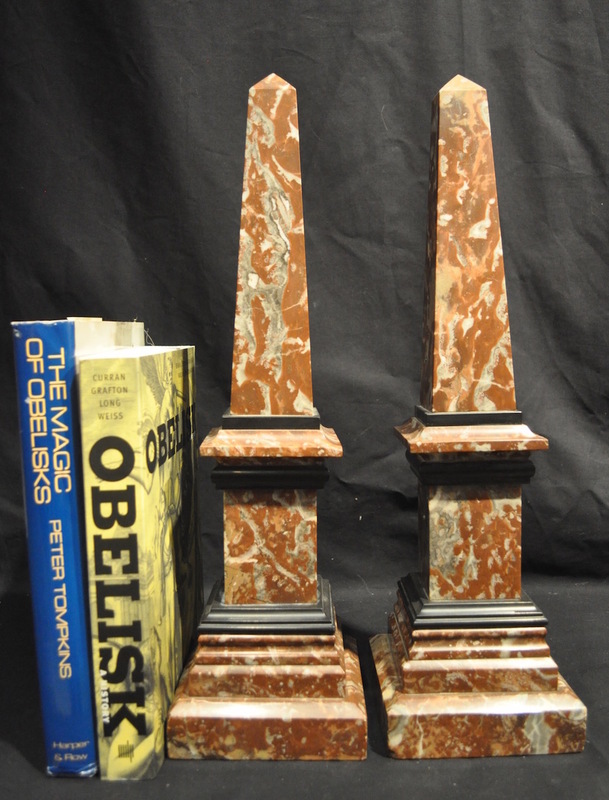 Elegant pair of 19th century French rouge and black marble obelisks. 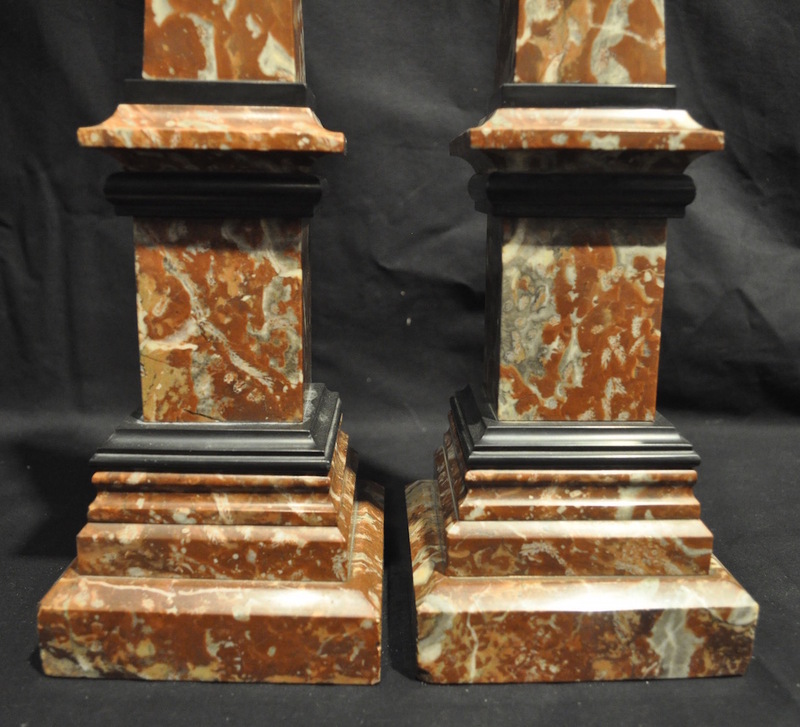 Wonderful proportions, and interesting veining in the marble. 16 3/4 inches tall. 16 3/4 inches tall. Base 4 3/4 inches square. 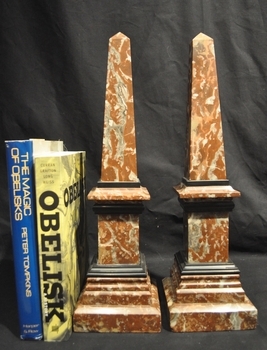 Obelisk A - Overall very good with minor naturally occurring imperfections on one face of one obelisk. 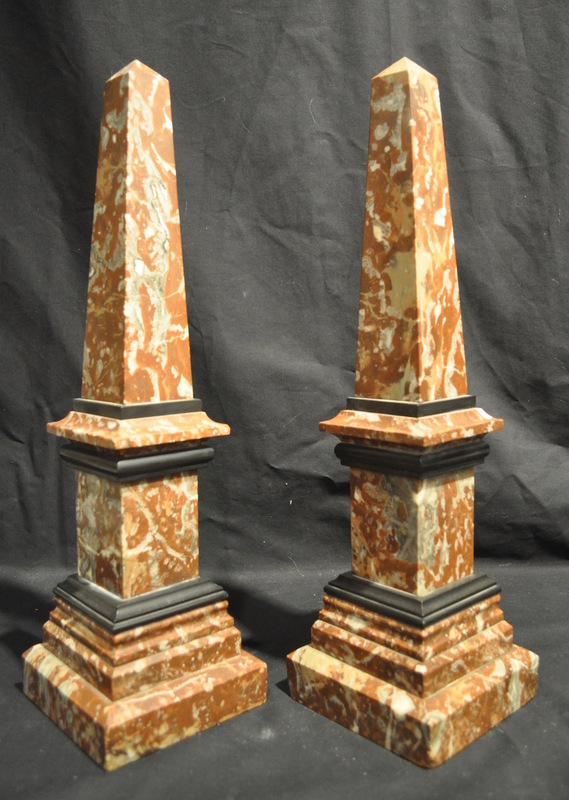 Minor nicks on corners of lower pedestal. 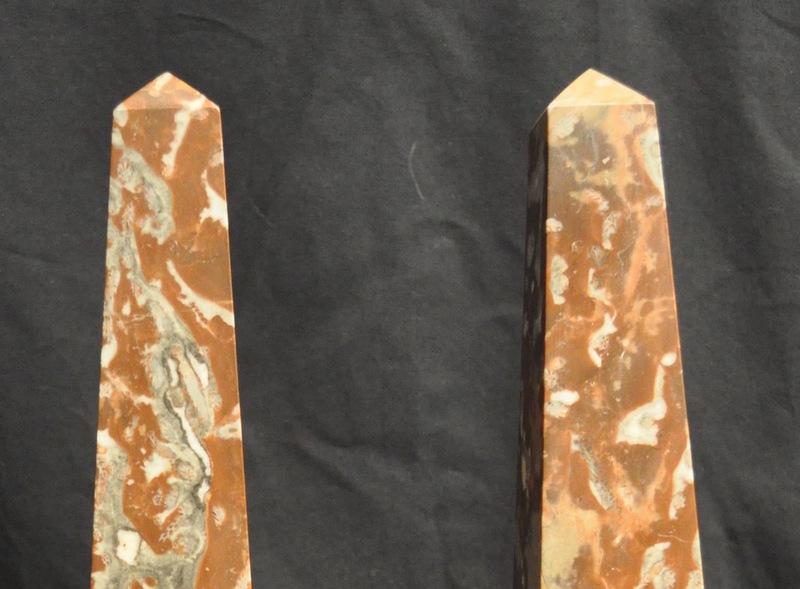 Obelisk B - Five nicks on one face. Small chip at corner of the lower pedestal on the same side as the nicks (photos included). Additional photos available on request.